NSP PU Heritage Series - Hand-Crafted Surf boards At Their Finest! NSP PU Heritage Series – Hand-Crafted Surfboards At Their Finest! 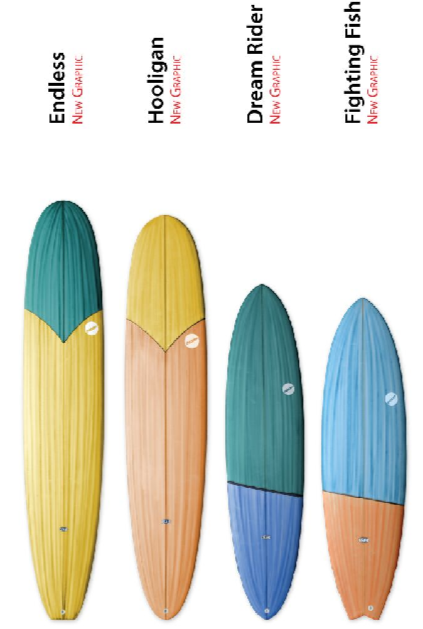 HomeBlogUncategorizedNSP PU Heritage Series – Hand-Crafted Surfboards At Their Finest! Designed and shaped by legendary Australian surfer/shaper Kym Thompson. These polyurethane boards are laminated with high end cloth and feature a traditional tinted gloss resin finish. Soulful longboard for the purest log rider seeking classic style and that endless glide! Aggressive high performance longboards that break the rules with quick and dynamic carving combined with traditional style for intermediate to advanced surfers. A dream to ride, this premium fun board shape will turn heads on and off the water. With the Fighting Fish in your corner you’ll be a champion small to over-head wave shredder.